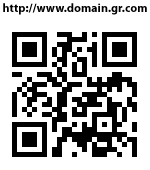 Find the Domain Names you always wanted right now !! Company and product names are trademarks or registered trademarks of their respective companies. Logos are ordered based on registration time. CentralNic and our strategic technical partners operate a network of DNS servers across many cities and continents: this map shows all of the current locations (note that some cities, such as London, host several nameservers). We are adding new locations all the time. GR.com : the alternative domain for Greece, and the world’s most versatile domain? Thousands of high profile brands, companies and investors have been among the first to acquire premium domain names ending with the new extension .GR.COM. eNom, the world’s second-largest vendor of domain names, is featuring GR.COM domains over the Summer. “We are very excited to add GR.COM to the list of TLDs available to our customers. The launch has been a great success and we expect good adoption from our customer base due to the many meanings of GR.COM.” said Chris Sheridan, eNom VP of Business Development. 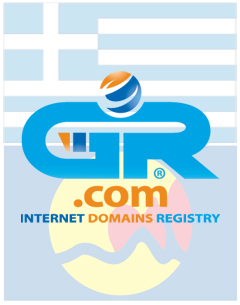 In addition to people seeking a domain that signifies “GReece” and “GRoup,” GR.COM domains have attracted interest from a broad range of communities – from residents of Grand Rapids to fans of Gospel Recordings. “GR.COM is a great new domain extension to get those premium names that are already taken under .GR and .COM,” adds Susan Jessup, Director of 101Domain, Inc. While branded domains like yahoo.gr.com, paypal.gr.com, and philips.gr.com were quickly picked up by the trademark owners, no premium domains have been withheld from sale, and smart domain investors are still finding and registering valuable “keyword” .GR.COM domains. At time of writing, domains still available include: cameras.gr.com, recovery.gr.com, seniors.gr.com, singles.gr.com, slots.gr.com, vodka.gr.com - even loan.gr.com! .GR.COM domains are available from leading registrars around the world, including eNom, Gandi, 101domain, Domainmonster.com, Webfusion and bNamed, and as well as via the official site, www.domain.gr.com. "Despite the state of the economy, we have seen significant interest from customers in Greece and from all over the world embracing.GR.COM," said Ben Crawford, CEO of CentralNic, the company launching the new extension.